Corsair®, a worldwide designer and supplier of high-performance components to the PC gaming hardware market, today announced the Corsair AX1200i Digital ATX Power Supply, the world's most advanced modular power supply for PC gamers and enthusiasts. The AX1200i's digitally-controlled power circuitry provides incredibly stable voltages, and exceptionally low ripple and noise. These features are aided by the reduced component count and elegant circuit-board layout made possible by the DSP-based design. These design elements also contribute to the AX1200i's 80 PLUS® Platinum certification and incredibly high energy-efficiency of up to 92%. The high efficiency also results in reduced heat, allowing the AX1200i to operate in a silent fanless mode until the PSU load reaches 40% of the maximum power rating. "Corsair has earned a reputation as one of world's best providers of enthusiast PSUs, and with the AX1200i, we have raised the technology and performance bar far above anything the market has seen," said Ruben Mookerjee, VP and General Manager of the Components Business Unit at Corsair. 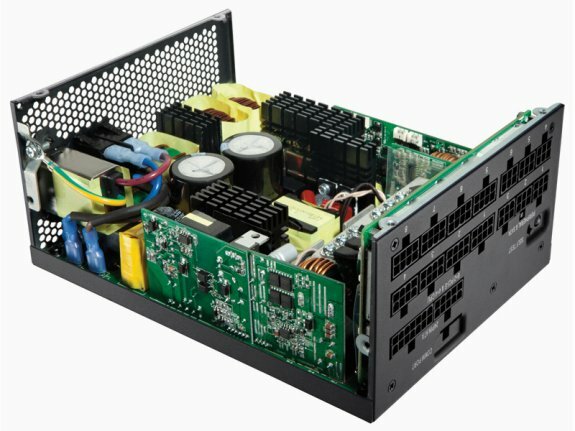 "By designing the first DSP-based enthusiast PSU and integrating our unique Corsair Link technology, we can offer enthusiasts a PSU with a matchless combination of performance and customizable features." AX1200i's DSP-based design, combined with Corsair Link™ technology, provides enthusiasts with unprecedented control over the features and performance characteristics of their PSU. This includes real-time monitoring of temperature, current draw, and power efficiency, as well as the ability to adjust the speed of the internal 140mm fan. These features also allow for a unique level of customization, such as the ability to switch from the default single +12V rail configuration to a tailored "multi-rail" mode, with the ability to set over current protection set-points on a per-rail basis. Corsair Professional Series HX Power Supplies upgraded with 80 PLUS Gold certification In addition to launching the flagship AX1200i Digital ATX Power Supply, Corsair is also updating its highly respected Professional Series HX range. The upgrades include 80 PLUS Gold certification, providing up to 90% energy-efficiency, and significantly lower noise levels. The new HX PSUs now feature a silent fanless operation mode at low loads. Incredibly, the new HX PSUs are available at the same price points as the outgoing models. The new Professional Series HX range is available in 650W, 750W, 850W and 1050W wattage ratings. 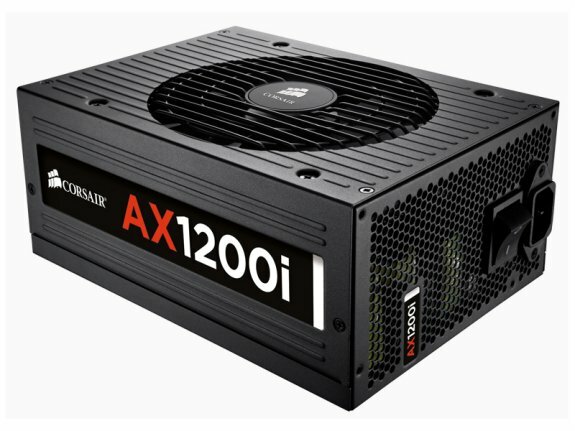 Both the AX1200i Digital ATX Power Supply and the upgraded Professional Series HX will be available beginning in August from Corsair's worldwide network of authorized distributors and resellers. Pricing will be announced upon product release. They are supplied with a Limited 7-year warranty and are backed up by Corsair's highly regarded customer service and technical support.